Please feel free to link to my pages, but do not claim my work as your own. I hope you find something here that will aid you in your personal research. 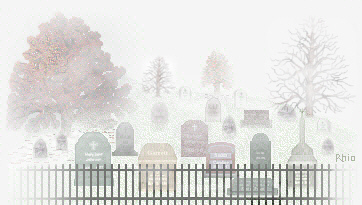 E-mail me if you can add information or interments at this cemetery. Also, please be sure to sign my guest book before you leave and list your surnames. Perhaps, another visitor might have a connection. This cemetery list is derived from death notices and obituaries.